The Lyonnais will take the field at the Auguste Delaune stadium, a green rectangle loaded with memories of Kopa, Fontaine, Colonna, Piantoni, Vincent, Wendling and Cie, not to mention the Argentine strikers Delio Onnis, Carlos Bianchi… This stadium was too small at the time to host the big L1 or European Cup fixtures, and Reims had to play from time to time at the Parc des Princes. It is currently undergoing refurbishments and in a few months will hold 22,000 fans eager to see their team promoted back to L1. For the moment, the Champenois are faced with their match in the last 32 of the Coupe de France, US Laon decided to host the five-time French champions outside their home town.Facing OL? A dream come true. The Laonnais won’t be overawed, even though fear of packing their bags early will be pulsing through their heads, as they said in the columns of France Football on Friday. Heart and guts will be the main ingredients for Mickaël Bénard, the keeper, and his team-mates, to be able to hold their heads high. 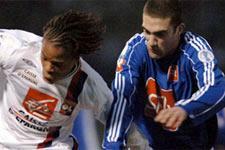 The only famous player,Jean-Marie Le Bescond, formerly at Guingamp, is unfortunately suspended. OL has already won through to one final at the Stade de France by beating Le Mans on wednesday night in the semi-final of the Coupe de la Ligue. To get to the final of The Old Lady, there are still 4 games to play. The first was passed with difficulty at Bayonne (CFA); the second would seem likely to go to Rémi Vercoutre and company. For the result to go otherwise would be unlikely, even given the “unpredictable charm” of this competition. So OL continues in its pursuit of its various goals. Coupet, on the comeback trail; Wiltord, Benzema and Diarra, under treatment for several weeks more, will be missing. 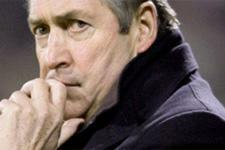 Gérard Houllier will introduce some fresh faces so the squad will continue to shine until the end of May. Coming back after the break was tough, as the defeat in Toulouse proved. 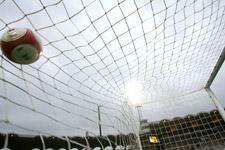 Though the French champions have lacked sharpness up front recently, they showed real progress against Le Mans. US Laon, one of the minnows of the Coupe, along with Lyon-La Duchère and Jarville, should go down to OL; some OL players will be playing their 32nd match of the season. 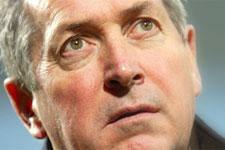 And they will approach this match with professionalism, according to Gérard Houllier. It wasn’t easy for OL to do the job against a team locked in the struggle to keep its place in CFA2. 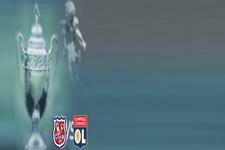 The charm of the Coupe de France often offers up uncertainty and suspense and OL has to experience its fair share before qualifying for the round of 16. Gérard Houllier has made some changes to the squad to face Laon in Reims this Saturday. Juninho, Abidal, Cris and Tiago have been rested… Carew won’t make the trip… There will only be 16 players on the team sheet.